We hear about “fake news” on a daily basis. So much so, that it has become “big news.” And something had to be done about it. Now, Facebook IS starting to do something about it. In February Mark Zuckerberg outlined the ways in which the social network would be tackling its fake news problem. 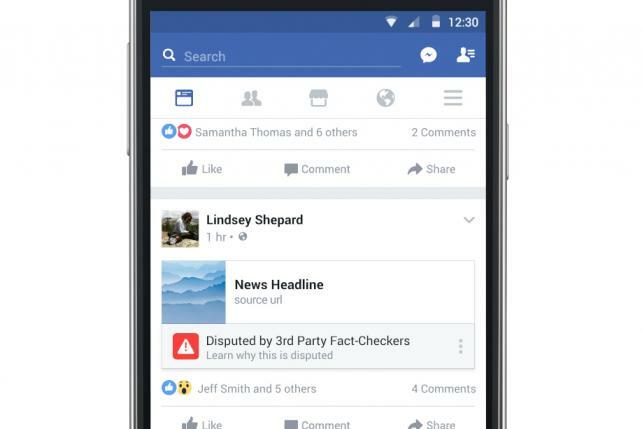 One of these, third-party fact-checking, is starting to be used, and a new “disputed news” flag on posts is being rolled out in the U.S. You may or may not have seen the flag on any of your posts so far, but it is backed by third-party fact checkers who will check up on a post, and flag it if it’s inaccurate. Flagging comes with a “Disputed” tag that appears below a post, with the names of the third-party fact-checkers (i.e. PolitiFact or Snopes.com). All fact-checking organisations will need to follow Poynter’s strict “International Fact-Checking Network fact-checkers’ code of principles.” Naturally, commitments include being nonpartisan, fair, transparent in terms of sources, transparent in terms of funding and organization, transparent in their methodology, and finally, honest and open to corrections. You may start seeing ‘Disputed’ tags below posts on Facebook. Are they a solution to fake news? Users can flag posts to be checked, by clicking on the options on the top-right corner of a post and reporting the post. In the next box, there should be a “It’s a fake news story” option. In the final step, all they have to do is click on the “Mark this post as fake news” option. Fact checkers will do the rest. If they agree with users’ flags, the Disputed flag will appear at the bottom of the post. On posts that are marked as such, users can click on the three dots that appear next to it to see the explanation from the fact-checkers. Of course, having this system doesn’t quite rid Facebook of fake news. It also doesn’t guarantee that people will believe that it’s impartial and nonpartisan either. There might be a long way to go still, but at least there are several steps that are being made in the right direction.